The Transavia PL-12 Airtruk is 7.1 MB. Larger files take longer to load. This is the Transavia PL-12 Airtruk listing page, here you can download the plan, article and see the main thumbnail and extra images. The Transavia Airtruk was built by Transavia Corporation, a subsidiary of Transfield Limited, which was actually a heavy steel construction company. A bit left field to have an aviation branch, eh? Years ago I climbed all over their last production unit, took all the measurements and about 100 detail photos, then 90 percent finished a set of plans. I left the hobby for a while and sold all this Airtruk gear along with my other gear. Very regretful. For years following re-entry into the hobby I tried to find a set of plans for an Airtruk, and finally ferreted out a set, which are here. I have other detail pics, factory manuals, etc, and will try and incorporate these somehow. Otherwise just contact me. Also, please observe that the model in the thumbnail is actually a larger version of just under 3.0m span, many of which are floating around, so there may be these larger plans available somewhere on the web. 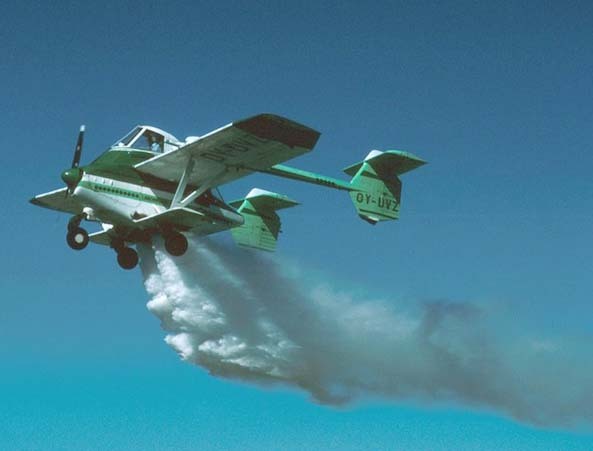 The Airtruk contains a one ton hopper which feeds boom sprays mounted on the stubby lower wing. 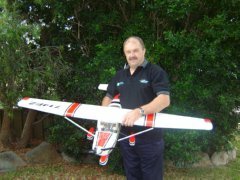 It is a fairly nimble cropduster, and to my last recollection, a cropdusting company in Albury, NSW, Australia, still have one or two in service. A PL-12 was used in the film Mad Max 3 - Beyond Thunderdome. 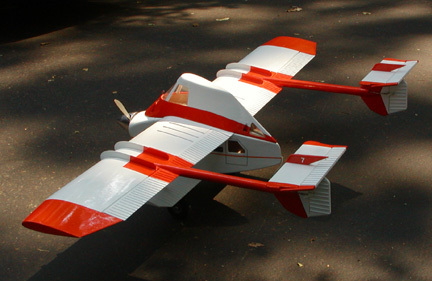 This model has a cleaner frontal appearance than the early models which actually ran a radial engine. 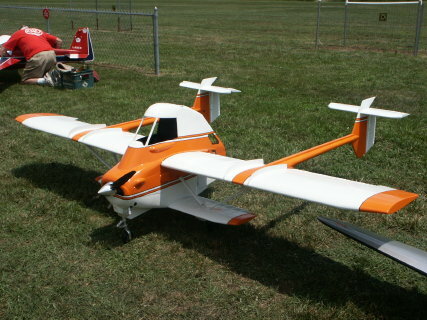 Videos for the Transavia PL-12 Airtruk. These are the details for the "Transavia PL-12 Airtruk" plan. If you would like to become a plan editor and help us to edit the attributes of all the plans in the website please click the "Edit Attributes" button below. Order your Transavia PL-12 Airtruk prints today! The Transavia PL-12 Airtruk plan can be printed on plain paper, tracing paper or polyester film and shipped worldwide. I will calculate a price upon request, please contact me here mentioning this PlanID: 96225 and the job you wish me to do. The page 3 of the plans you have here do not include the wing jigs, J1 thru J6. The final version of these plans do included the jigs. There is also a construction manual and a bill of materials that was originally included with theses plans. The top wing and booms are built as one piece to insure alignment. This can't be done without the jigs. I know this because I designed this model. Thanks for your input and thanks for creating the original plans and articles. I haven't looked intricately at the plan. As I commented, I crawled all over their last factory production unit. 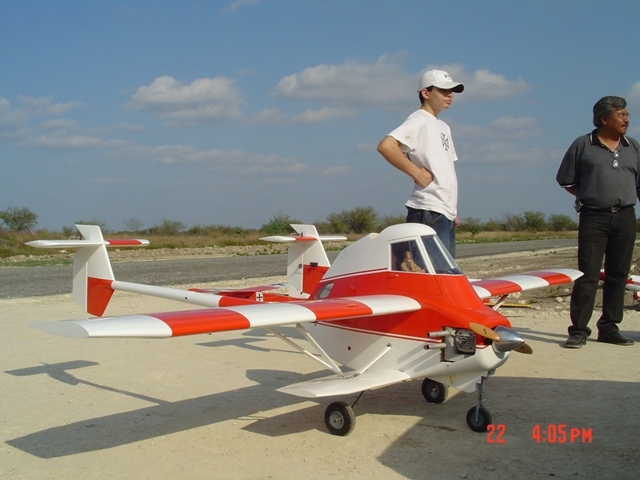 I searched and searched for years for the plans, until I finally found the information which I shared here previously existing on the Foro Aeromodelismo site, which at least provided more than I started with. There are build blogs on the web for the larger model which featured in one of my photos and it would be good if someone could also share those. I'm sure anyone wanting to build this model would appreciate any further information you can provide. Could you please forward any further information to Fred at at the site´s contact page (referencing the plan number) so that he can include it with the current information? I sincerely apologise for putting the wrong designer name on the information page. I must have been having a seniors moment. The mistake is corrected and you are nominated in the designer info now. I also look forward to you helping out with the missing information.